Orbital Technologies and Rocket and Space Corporation Energia (RSC Energria) announced today their intentions to build, launch, and operate the world's first Commercial Space Station (CSS). 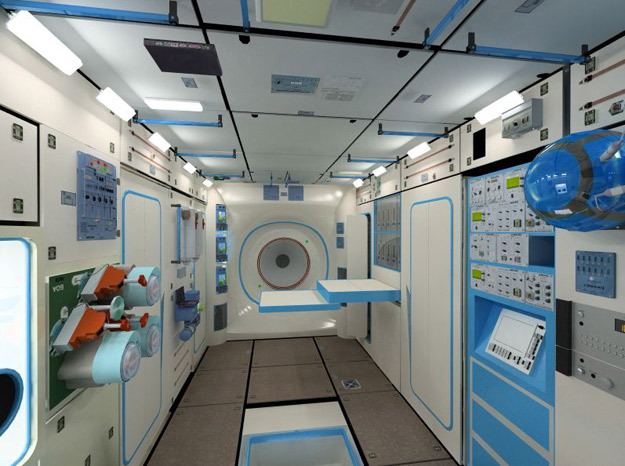 The station will be utilized by private citizens, professional crews as well as corporate researchers interested in conducting their scientific programs onboard the world's first commercially available human spaceflight platform. The CEO of Orbital Technologies, Sergey Kostenko said, "I am pleased to announce our intention to provide the global marketplace a commercially available orbital outpost. Once launched and operational, the CSS will provide a unique destination for commercial, state and private spaceflight exploration missions." Mr. Kostenko continued, "The CSS will be a valuable addition to the global base of orbital assets. We look forward to working with corporate entities, state governments and private individuals from around the world." The CSS will be man-tended, with a crew capability of up to seven people. Space-certified elements, modules and technologies of the highest quality and reliability will be used in the construction of the station. The CSS will be serviced by the Russian Soyuz and Progress spacecraft, as well other transportation systems available in the global marketplace. 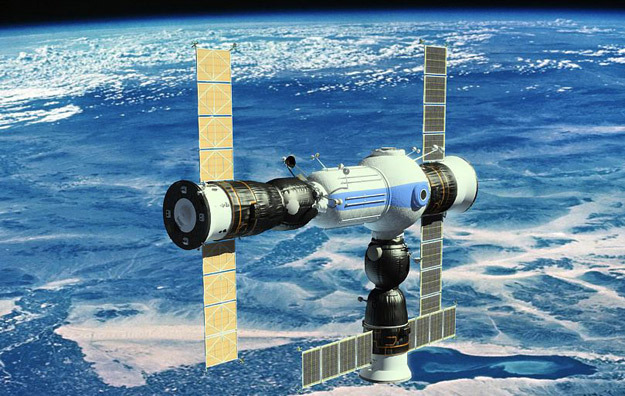 Such arrangements are enabled through the station's unified docking system that will allow any commercial crew and cargo capability developed in the Unites States, Europe and China. First, it will be hub for commercial activity, scientific research and development in low Earth orbit. Orbital Technologies has several customers already under contract from different segments of industry and the scientific community, representing such areas as medical research and protein crystallization, materials processing, and the geographic imaging and remote sensing industry. Kostenko commented, "We also have proposals for the implementation of media projects. And, of course, some parties are interested in short duration stays on the station for enjoyment." "We consider the Commercial Space Station a very interesting project; encouraging private participation. It will attract private investment for the Russian space industry," said Vitaly Davydov, Deputy Head of Federal Space Agency of the Russian Federation. Second, because of the design and its orbital inclination, the CSS will serve as an emergency refuge for the ISS crew, should it become necessary. "There is a possibility for the ISS crew to leave their station for several days. For example, if a required maintenance procedure or a real emergency were to occur, without the return of the ISS crew to Earth, habitants could use the CSS as a safe haven," said Alexey Krasnov, Head of Manned Spaceflight Department, Federal Space Agency of the Russian Federation. "We are pleased to be the general contractor of this ambitious project. For over a decade, RSC Energia's engineers have outlined and planned for the production of the CSS. Having 40 years of experience in building orbiting space platforms, RSC Energia has the technical resources and expertise; and is poised to build the CSS in a short period of time," said V. Lopota, President, RSC Energia. "Finally, the CSS will be a true gateway to the rest of the solar system. A short stop-over at our station will be the perfect beginning of a manned circumlunar flight. Deep space manned exploration missions planned in the next decade are also welcome to use the CSS as a waypoint and a supply station," continued Mr. Kostenko. Details about the project are located at www.orbitaltechnologies.ru. Updates will be made regularly. Prospective customers, partners, and suppliers are encouraged to contact Orbital Technologies regarding potential involvement with the Commercial Space Station project.